Home Beauty News Beauty Related News Collection Korpse Kosmetics Valentine Beauty Related News! Korpse Kosmetics has added a ton of new stuff to their store! First up is the 2013 Valentines Collection. This is completely customizable, which is a nice feature to this collection. 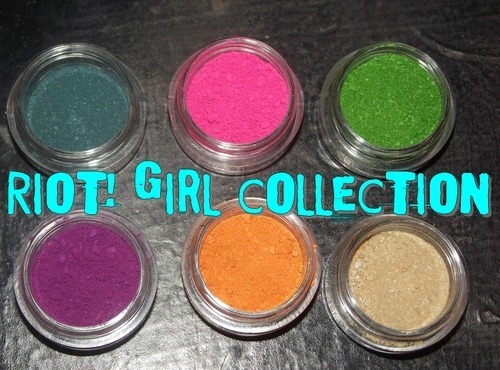 It features 1 eyeshadow collection, 2 lip paint stackers, and 1 glitter stacker. I personally haven't seen swatches from this collection but it is different from their Valentines Collection from last year. This features 4 bold lip colors from their lip paint line. I have the Korpse Lip Paint and it's a wonderfully dark black with a ton of sparkle. This features 4 wearable lip colors from their lip paint line. I have the Entity Lip Paint and it's more of a pink lip color, it's basically a slightly darker version of my own lips. This stacker features 4 glitters from their line of glitters. 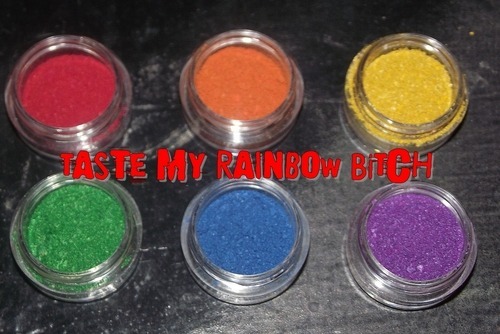 I know for sure that I have the bottom glitter which looks like the Unicorn Blood Glitter. I have swatches of that on my Facebook, and here on my blog. To see it in action check out my latest tutorial for Catrine De Mew. I love their glitters so this is brilliant! When you think about it $50 for 6 full size 5 gram shadows, 8 full size lip products, and 4 full size glitters is an amazing deal. I'm going to try and get my husband to get me this for Valentines Day! This collection hasn't been released yet, but is set to be released on January 30th. I'm the most excited about this collection because it's all primary colors, love it! I will definitely be picking this up. 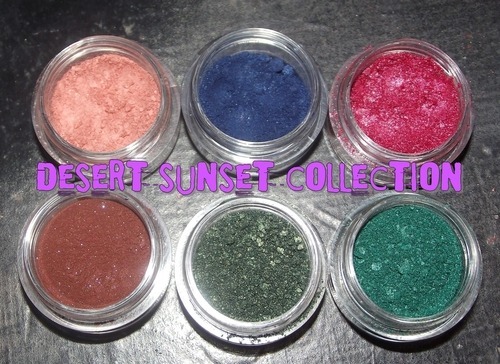 This collection is one of the newest additions to Korpse Kosmetics. I haven't got a chance to pick this one up, but from the swatches and looks I've seen it's nothing short of amazing. I'm just dying over that pink and green! This collection offers a lot of variety, and is a newer collection. It's super pretty you have your brights mixed with some neutrals to give a unique look. I don't have this one yet either, but I'm hoping to soon. From the tutorials and looks I've seen with this collection it's out of this world. This is a brilliant and longtime awaited addition to Korpse Kosmetics. A lot of companies sell cosmetic grade glitters but don't offer an adhesive. If you're new to glitters, this can be frustrating because your like well how am I suppose to apply this? I'm really glad they added this to their line of products, because it's hard to find an affordable glitter adhesive. If you decide to make a purchase be sure to let them know The Glam Kitty sent ya! Hope you all are having an amazing week.